Even though there are many good routines, they all seem to have flaws. Most detrimental is the fact that a folding coin’s elastic band can break at an inopportune time. Another problem is that whenever a performer has to access a pocket to retrieve or ditch a coin, it becomes a suspicious move. 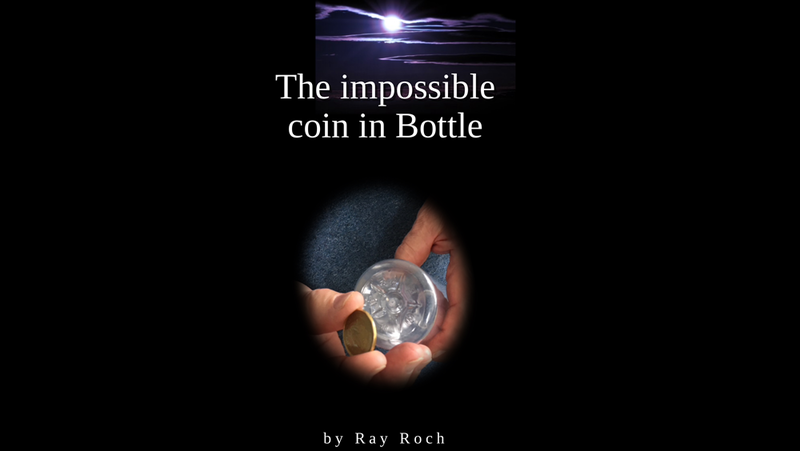 These problems are dealt with nicely during Ray Roch’s Impossible Coin in the Bottle routine. The hands never leave the performance area and always remain in sight. A solid coin is used throughout the performance and the routine is an instantly repeatable miracle — this makes it a perfect table-hopping effect. The gimmick is relatively easy to make. To achieve a very clean handling during the introduction part of the trick, Ray uses a Canadian looney (Canadian one dollar coin) and a Tim Horton’s apple juice bottle. If you want to use a different sized coin and do it exactly as Ray does it, you will need to look for a suitable bottle. But this particular aspect of the trick is not essential and can be handled in other ways.